With their direct access to the outdoors, windows provide a main point of entry for pesky dust and allergens. You can help prevent asthma and allergy symptoms from flaring up by allergy-proofing your windows. Try the following five tactics to help you keep outdoor allergens at bay. Excessive amounts of dust contributes to a favorable environment for allergy-producing dust mites, and the more dust, the more dust mites. Windows tend to attract dust, especially windowsills. Keep windows clean by damp dusting with a five percent bleach-to-water solution on a weekly basis. Doing this will help clear the area of dust mites and mold spores, the latter of which can be problematic for those with asthma and allergies. Spray the cleaning solution onto a clean rag and wipe down the entire window. Cleaning in this manner helps prevent the dust from becoming airborne and irritating you. To help prevent symptoms when cleaning, wear a dust mask. 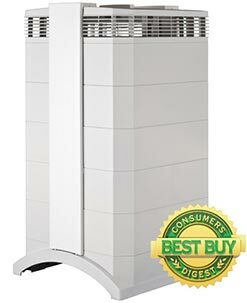 Buy an air purifier and place it close to a window. Having it at this location will help trap airborne contaminants from outside before they get a chance to circulate in the room and cause you irritation. 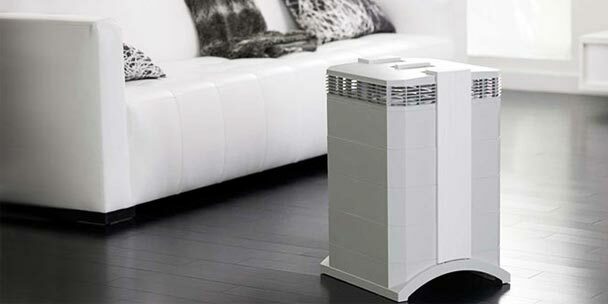 There are many types of air purifiers available, but for the best results, we’d recommend buying one that features HEPA filtration, as they are designed to trap at least 99.97% of all particles that are larger than 0.3 microns. Avoid hanging heavy dry-clean-only drapes and small-slatted blinds, as they are dust magnets and can be difficult to clean. Instead, opt for easy-to-clean, lightweight window treatments that are less likely to attract and hold dust and pollen. Ideal choices in drapes are washable, synthetic curtains. Other good choices include cleanable roller shades and blinds or shutters with large slats that are easy to vacuum and wipe down. Wash fabric window coverings monthly in hot water, which will help kill dust mites clinging to the fabric. 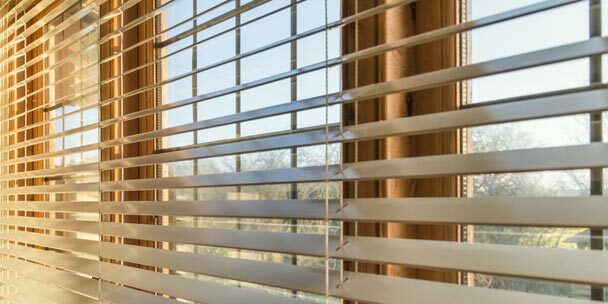 Blinds, shutters, and shades should be cleaned weekly with a vacuum that features a HEPA filter, and also wiped down with a damp cloth containing five percent bleach-to-water solution. For an especially allergy-free window-covering option, try adding a window film. Used for decorative and privacy purposes and to reduce glare and UV rays, this film is applied to windows directly and comes in a variety of colors and designs. If you use this product, also make sure to wipe it down once a week. Caulking around windows can wear away over time, and even small cracks can let in a surprisingly large amount of dust, pollen, and mold spores. Carefully inspect the caulking and look for any visible openings. Even if you don’t find anything, if the caulking is older than seven years, it’s a good idea to replace it. Apply caulk to stationary windows and weather stripping on those windows that open and shut. When doing so, make sure that your window frames are secure, as any rattling or movement can cause leakage problems. Cracked panes should always be replaced. Even seemingly hairline breaks can let in allergens and irritants. Warm weather, especially when humidity is high, as mold and dust mites thrive in moist conditions. Rainy, damp weather, as this also tends to invite in mold spores. Early morning hours, because this is when weeds, trees, and grasses release pollen. Nighttime; conditions tend to be moist at night, especially toward the early morning hours when dew appears. You can open your windows from mid-afternoon until evening when conditions are dry (the relative humidity is 50 percent or below outdoors). If you wish to open your windows at times when pollen counts are generally high, such as the early morning hours, or you want to sleep with the windows open, install window screen pollen filters. 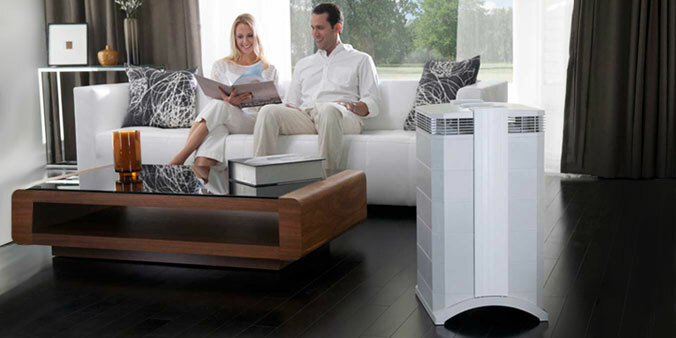 These products let you enjoy pollen-free fresh air. 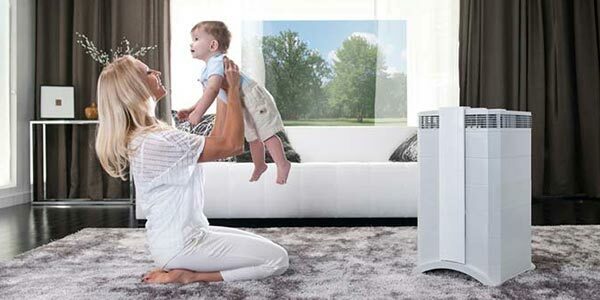 The filters consist of a very fine mesh screen that prevents 90 percent of many plant allergens from entering your home. Keeping allergens out of your home and wreaking havoc on your asthma and allergies does take some concerted effort and pre-planning, but the result of breathing in irritant-free indoor air can be well worth the effort. As someone who is interested in window films, I am going to be biased and say that I’m glad you brought up using window film. There are a number of benefits for using window film, but for this article, we’ll leave it on allergies. If you were to couple this method with the methods that were provided in this article, than it would be much to your advantage, especially when you are raising children who have allergies. 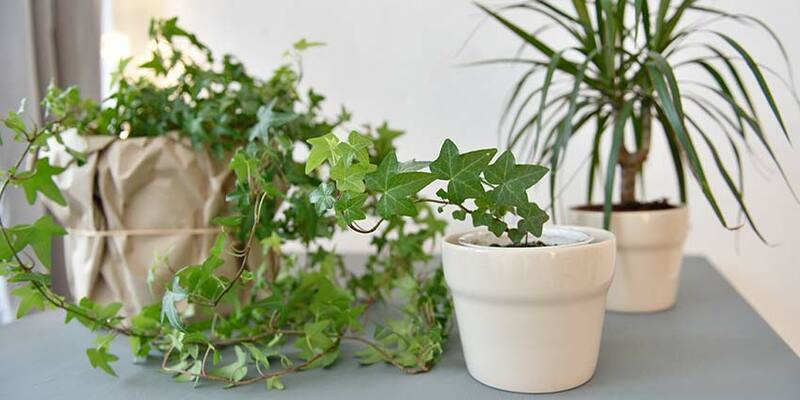 Have air purifying plant in home. Cheap and easy to care. My Mom just gave me some snake plants for my home and works good so for. Ask your Mom, she might have some. Usually, a lot of seniors love to gardening.